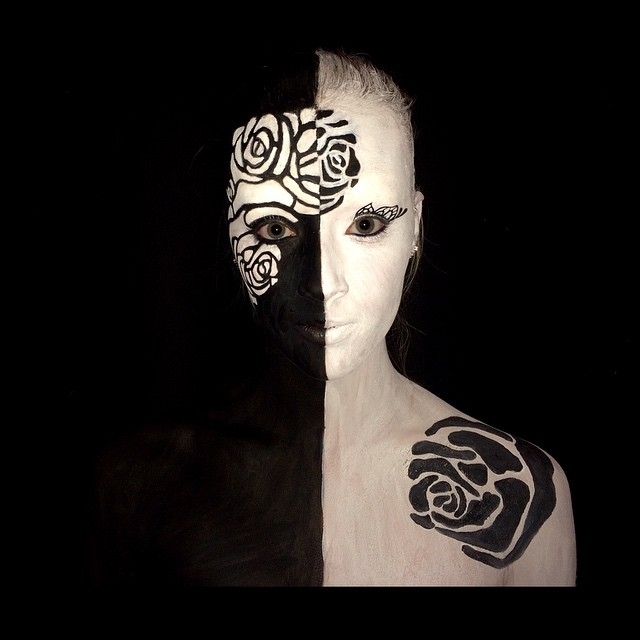 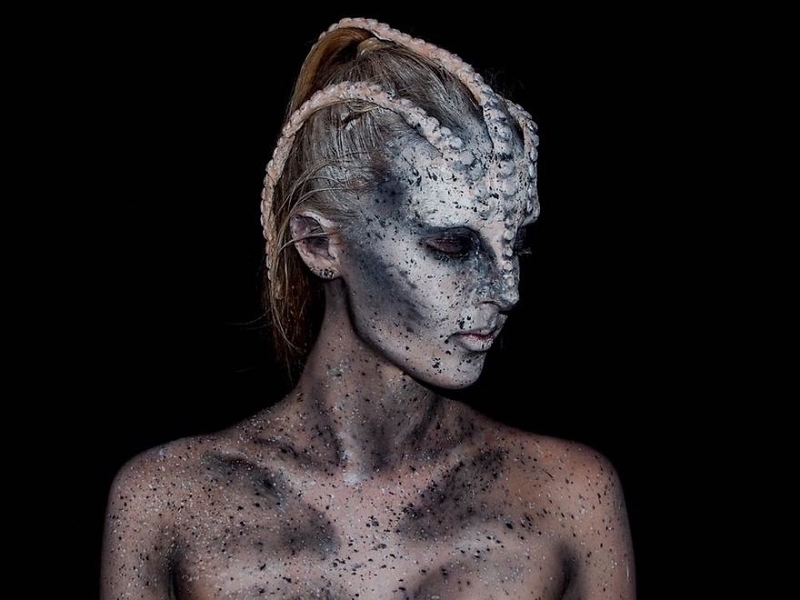 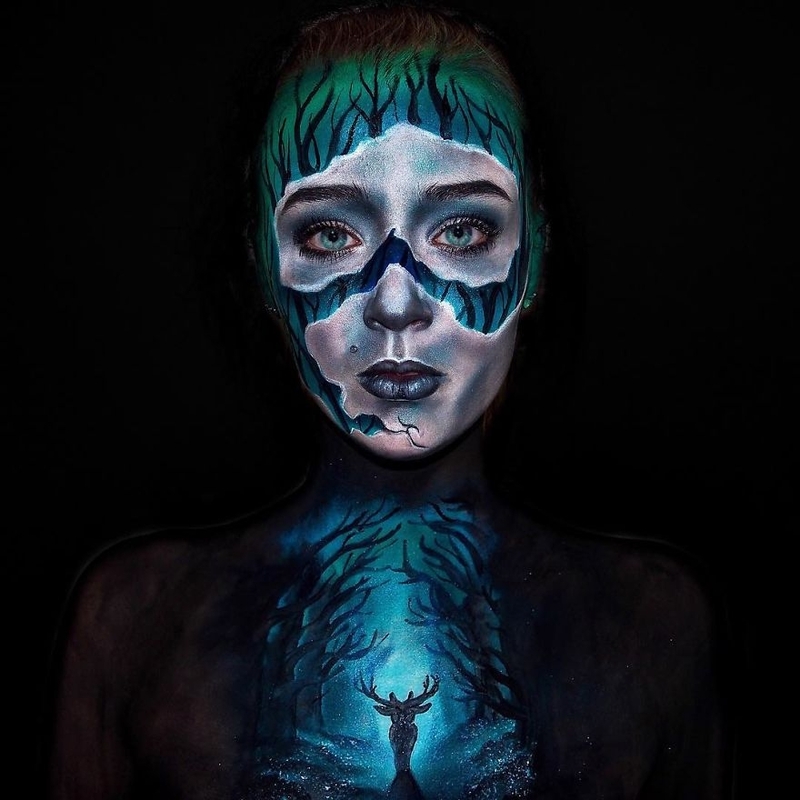 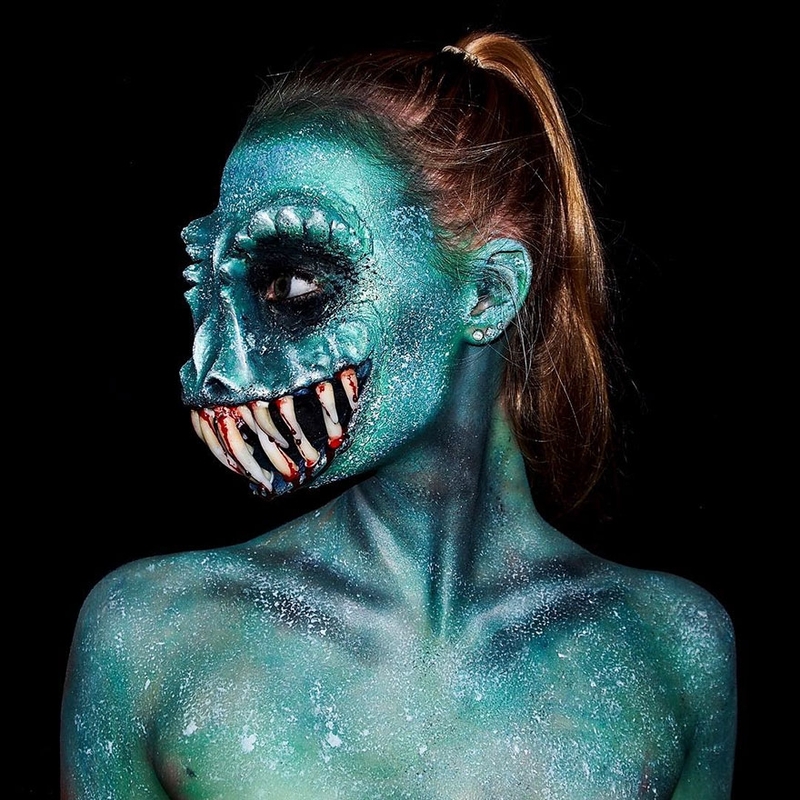 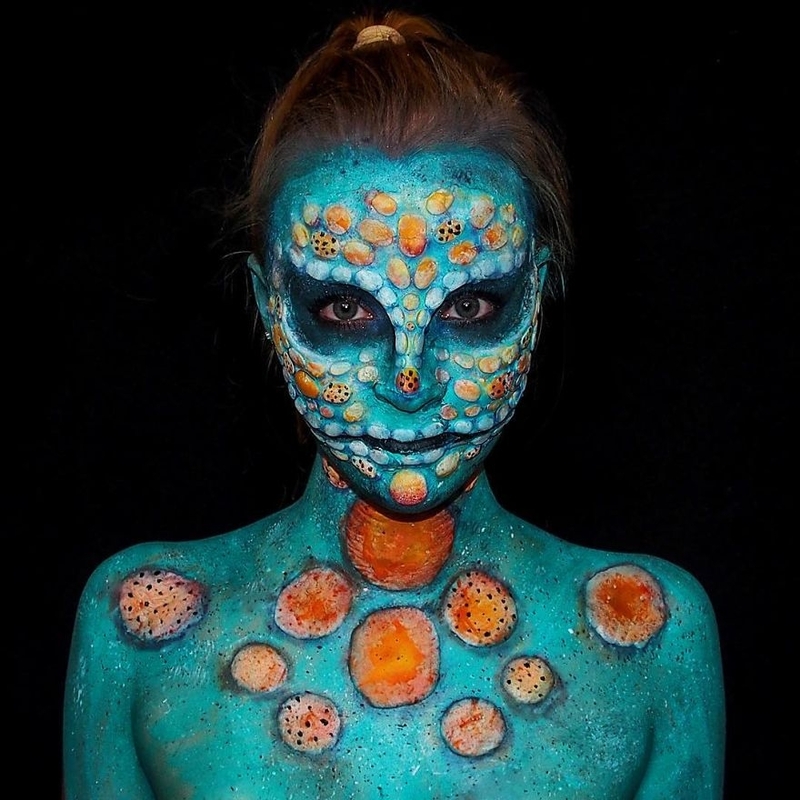 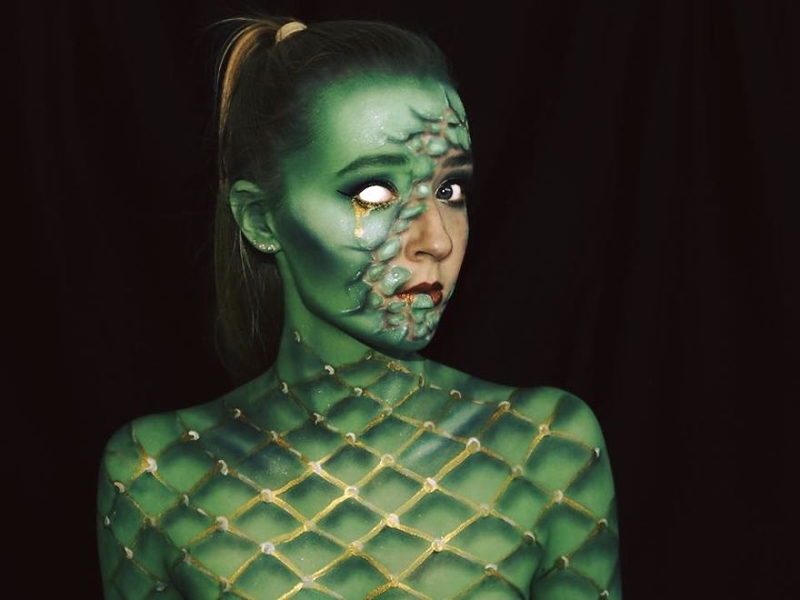 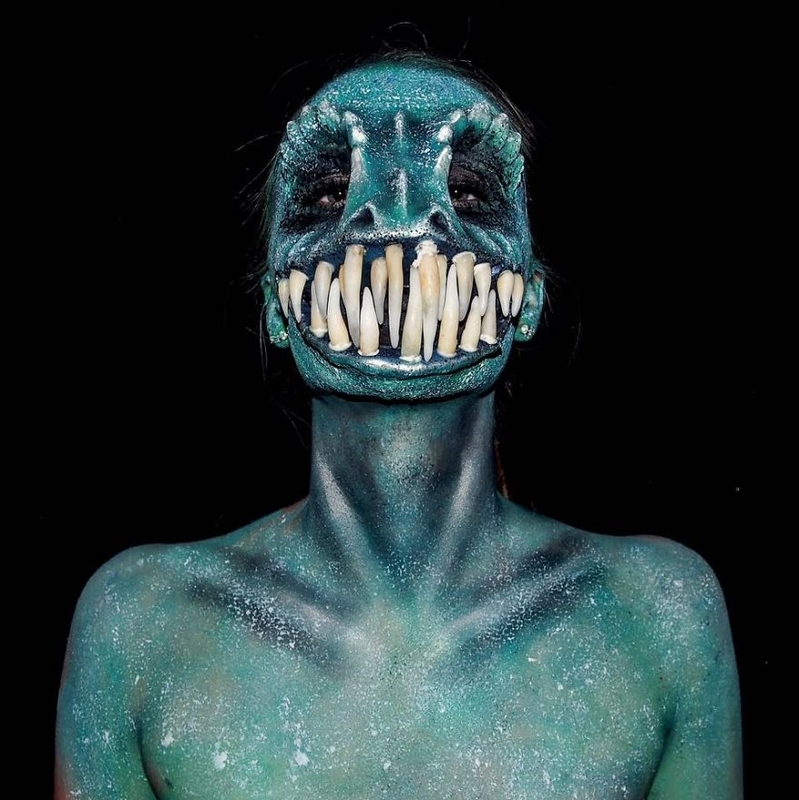 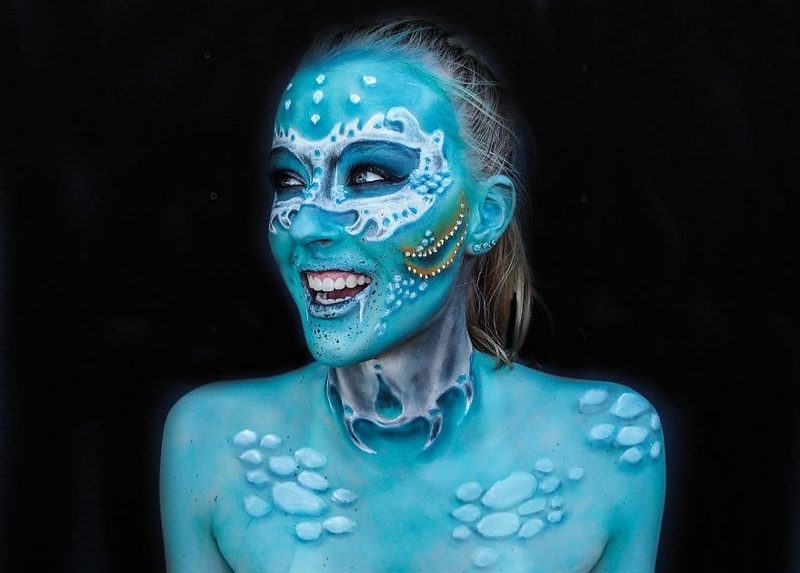 Australian self-taught, 16 year-old special effects make up artist, Lara Wirth aka (Armageddon Painted), uses her face and her body as a canvas to transform herself into a monster. 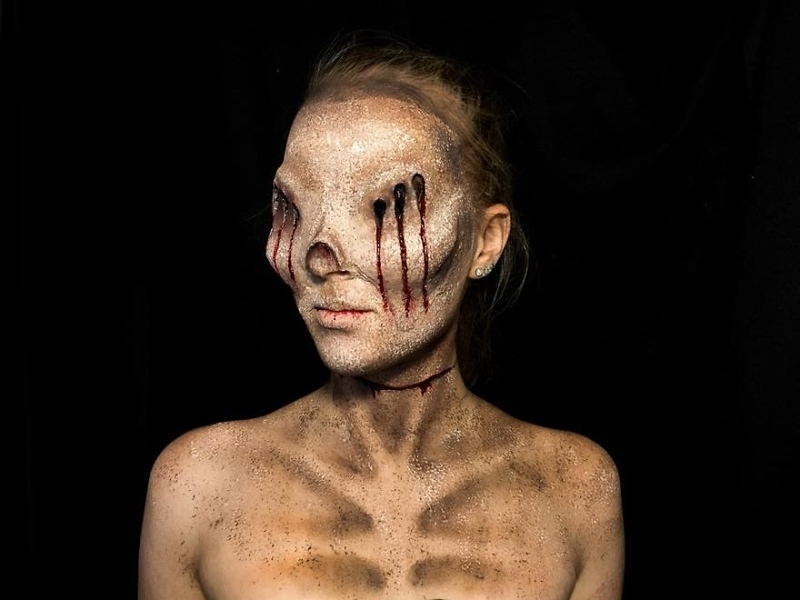 She was Inspired by movie box office successes like Pirates of the Caribbean, X-Men and having watched a TV series called FaceOff. 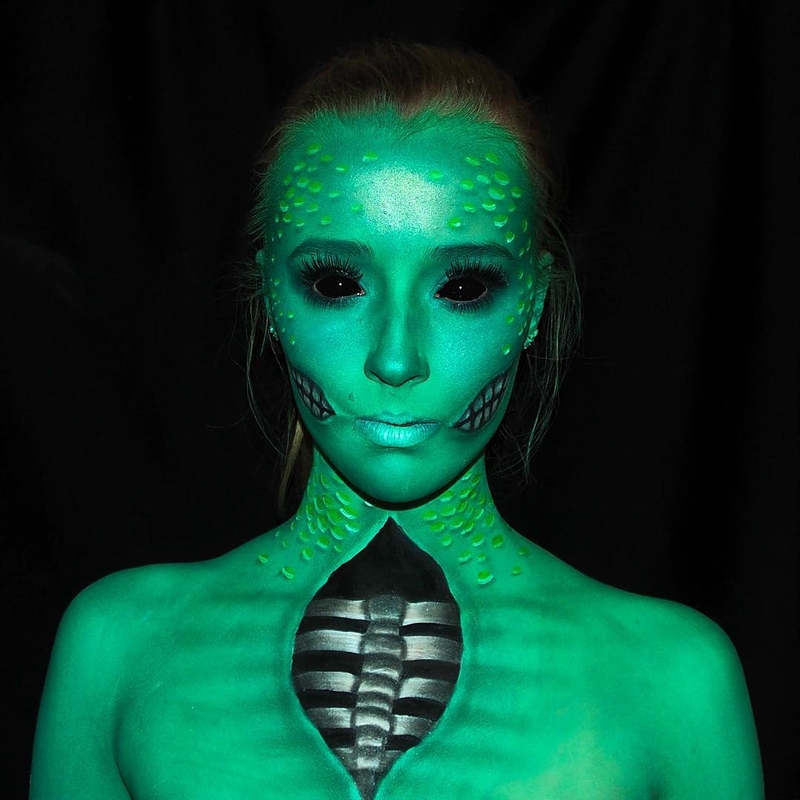 In this program, the contestants compete in special effect challenges, this encouraged Wirth, to try it herself. 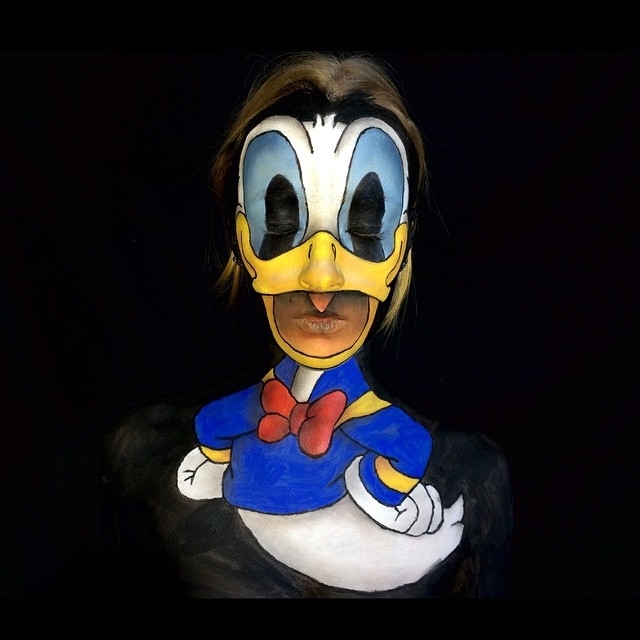 This is a partial quote from her "I hope to one day have a hand in creating a character for a movie or video". 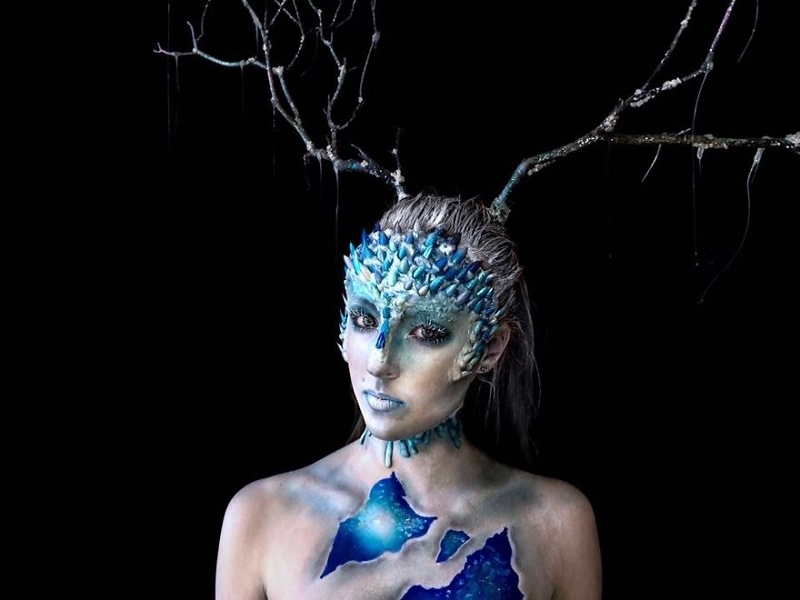 Below is a Video, a real time tutorial, with step by step explanation of the process. 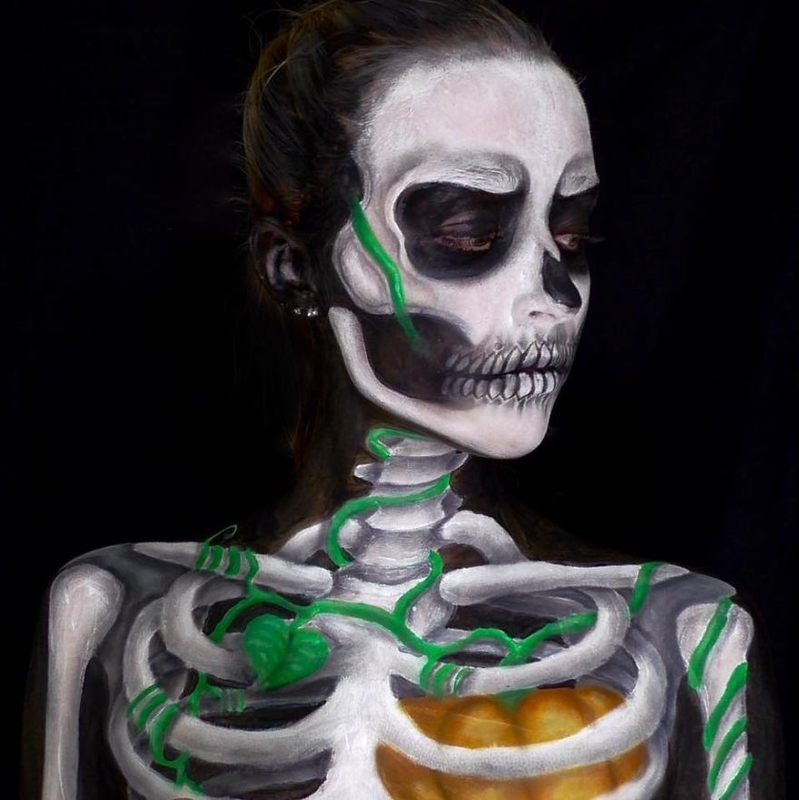 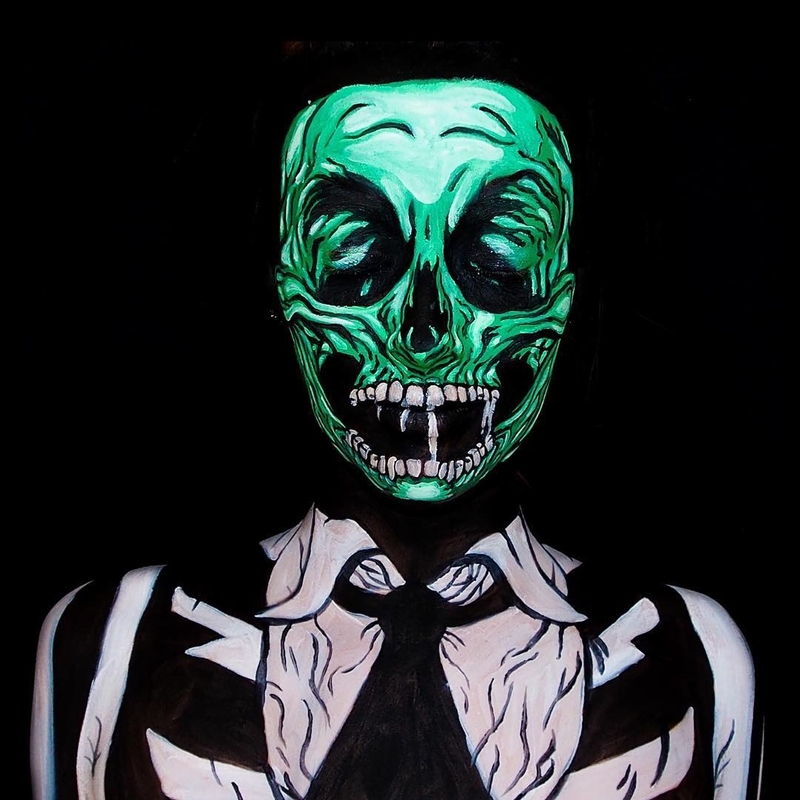 Jack Skellington | Pumpkin King | Body Paint Tutorial.